MontBleu’s center bar, HQ, is a circular bar, akin to a spaceship emitting laser blue hues, embracing an island furnished with a fire and ice pit as well as several big-screen TV’s. 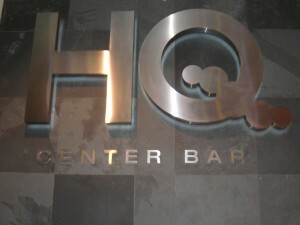 HQ serves as an excellent meeting spot for some pre-drink action or sports-viewing endeavors. It also functions as a means of retreat from MontBleu’s busy casino floor. Feel free to take a breather from gambling and unwind at HQ.